Our "Who is Afraid of Opera?" assembly program is a fun an engaging introduction to the subject. 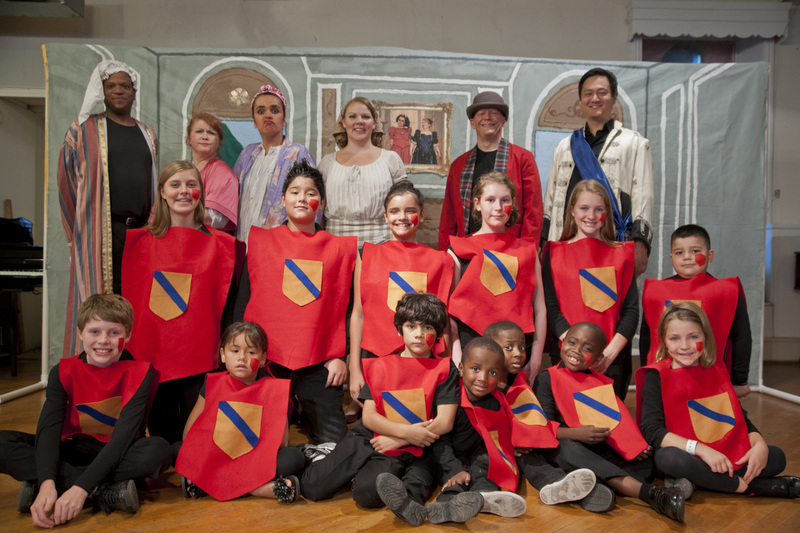 Teaching artists with years of professional performance experience will explain all the ins and outs of how opera is created and actively involve the children in the process. There will be various live performances, a singing competition and everybody will find out how the “Opera Box” works. This assembly is for ages Pre-K through 8th grade and it is highly recommended as an introduction to one of Children Opera Box's operatic productions. Depending on your needs an assembly can last from 30 minutes to one hour. Generally, 50 to 60 minutes with each group of students is ideal, and we can engage classes individually or give a presentation to your whole school/organization. Know what opera is and how it all began. Know all about the different voice types used in opera. Have listened to professional singers performing famous opera arias. Have been a part of the creation of a mini opera. Know some words in Italian!